Here are five things to check before you file your taxes. Your accountant may not proactively ask you these questions, so be sure to ask them. 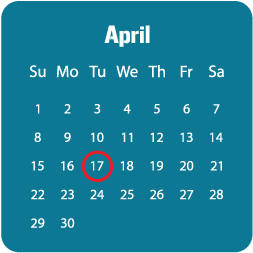 Remember that the final day to file taxes is Tuesday, April 17. This year, April 15 falls on a Sunday and Monday, April 16 is Emancipation Day, which is a legal holiday in the District of Columbia. Can I make Roth IRA contributions? A Roth IRA is one of the most powerful retirement savings vehicles. For 2017, married couples filing jointly who earn less than $186,000 MAGI can contribute up to $5,500 each ($6,500 if you’re over age 50). Even if you don’t have excess cash on hand, it’s worth considering moving funds from a taxable investment account to your Roth. Can I max out my Health Savings Account (HSA)? For 2017, families who are enrolled in a high-deductible health care plan can make contributions up to $6,750 to an HSA account. An HSA account is like a turbo-charged IRA because contributions are tax-deductible, the assets grow tax-deferred, and withdrawals used for medical expenses are tax free. Can I make SEP IRA contributions? For 2017, if you’re a small business owner, you may be able to make tax-deductible contributions of up to $54,000 ($60,000 if you’re over 50). Eligibility and contribution rules can be tricky, so talk with a tax professional. Can I make contributions to a 529 college savings plan? For 2017, parents can each contribute up to the $14,000 gift limit to each of their children’s 529 college savings plans. If you’re using an in-state 529 college savings plan, your contributions may be deductible on your state income tax return. You should check your 529 plan to see what is allowed. If you think you’re likely to get a big refund, don’t pat yourself on the back, as you’ve managed to give the government a tax-free loan! Unless that refund was triggered by one-time events, you may want to review and adjust your withholding so you don’t overwithhold in 2018. Just be careful not to underwithhold, as that can trigger IRS penalties.